Implementation of efficient production lines performing at optimal operational levels is gaining a great deal of attention. The need for increased profitability, reduced downtime and improved efficiencies are most powerful drivers for considering production line monitoring solutions capable of improving production output and impacting the bottom line. 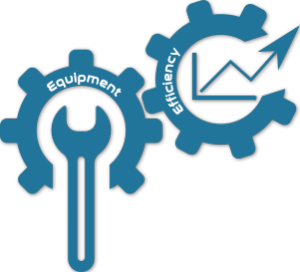 It is when the equipment efficiencies are measured and evaluated that lean and efficient line operations can be obtained. Gathering the required data to analyze and track manufacturing processes could be a time consuming and overwhelming process. Only when this information is available, it allows organizations to set up the required goals and operational targets. Key Performance Indicators (KPIs) are representative of how well production lines are performing and thus, acquiring line monitoring parameters are indispensable in gaining efficiency goals. LE2 is a fully automated tool to help perform continuous improvements on production lines. By acquiring real time data directly from the manufacturing equipment, LE2 automatically calculates the essential KPIs in real time and based on specific operational requirements, generates numerous tabular and graphical reports which are accessible via any web browser. Optional integration with Manufacturing Execution Systems (MES). Availability is a performance indicator used to get the percentage of time a piece of equipment (or the complete production line) has been running over a specific period of time it was scheduled for. 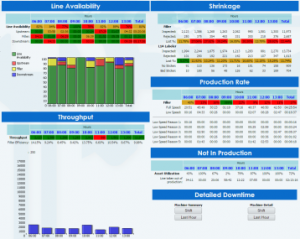 Other KPIs such as MTBF as well as MTTR are also displayed on this page. Shrinkage is defined as loss of products between two key pieces of equipment (example: filler and palletizer) and expressed in Volume or in Percentage. This report also provides information about shrinkage for individual pieces of equipment. Throughput presents the quantity of product manufactured for a specific piece of equipment (example: filler) expressed in Volume or in number of “units” produced (example: containers). Presents a summary of the previous three reports (Availability, Shrinkage and Throughput) for any past period of 8 hours. OEE is a Key Performance Indicator based on availability, performance and quality. Factory floor data is acquired from the manufacturing equipment PLCs and this information is then sent to a Data Concentrator where basic analysis and proper data-format conversions are performed. Resulting data is in turn sent to the Data Storage where the significant events are collected, crunched and stored in a database for real time display and future analysis. 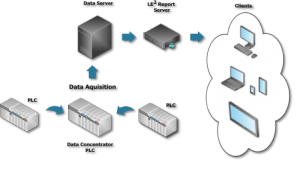 On request from web clients such as personal computers, mobile devices and WiFi-enabled display units, the LE2 Report Server provides web reports utilizing the data residing in the database. Letico is a high technology Canadian company providing engineering services in factory automation, process control and systems integration. We offer solutions that are cost effective in their implementation thus providing for speedy return on investment (ROI). Our systems target critical data for acquisition, analysis and reporting. Since 1981, we have solidified our expertise in this field by developing workable solutions for our valued clients in the Food and Beverage industries. Was last modified 28 June 2017 by Letico inc.
As part of the Rockwell Automation Recognized System Integrator Program, Letico Inc. has added the Process discipline to its professional profile. Will WannaCry Be Industry’s Cybersecurity Wake-Up Call? Copyright © 2019 Engineering services in systems integration All Rights Reserved.